Location: Central Co-op Rochdale Room, 19th and Madison. In 2014, CAGJ committed to prioritizing taking action on climate justice. 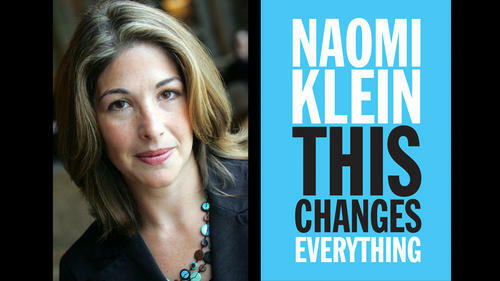 To inspire and inform this work in 2015, we are starting the year with a discussion of Naomi Klein’s new book, This Changes Everything: The Climate Vs. Capitalism. The book discussion – open to all CAGJ members and supporters – is part of the lead-up to our annual strategic retreat. Through the book discussion we hope to address questions about the role of climate justice in the contemporary political “moment,” the role of CAGJ in contributing to the climate justice movement, and potential for future work together. It will be a casual, CAGJ-style potluck! Feel free to bring friends! If you are unable to complete the book, no problem, please come having read the Introduction and Chapters 3 and 4. For those who do not have the book, a PDF of two chapters can be provided; email us for more info. RSVPs appreciated but not required – email us.